Your Back Office is a one stop proven system for financial experts like you who are looking to grow and level up in your practice by delivering a Cutting-Edge service to your clients. This solution will equip you to provide a proactive and forward-thinking approach to your practice for you and your clients. 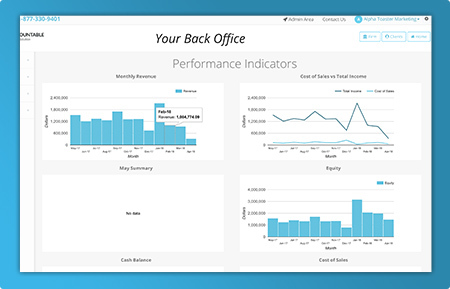 Your Back Office allows you and your firm to know the inner workings of your business in a clear, metric driven system. The process of this system is easy to implement and you will see results almost immediately for you and your clients. 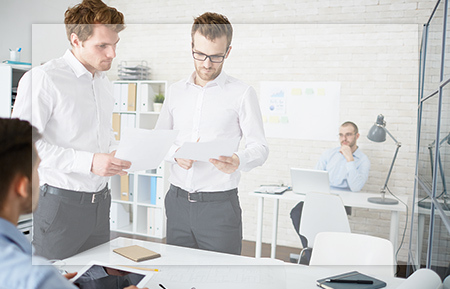 Our team will work with you to ensure Your Back Office is properly setup and everything is in place for you, so that you can succeed with all benefits of Your Back Office. Double your sales once you know the real numbers in your business. 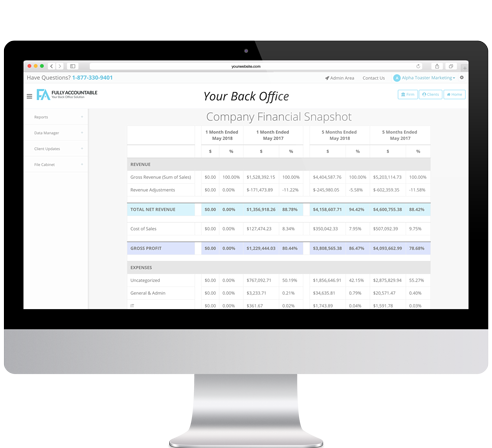 Keep track of your Revenue, Gross Profit, Expenses, Operating Income, Net Income Loss, and more. 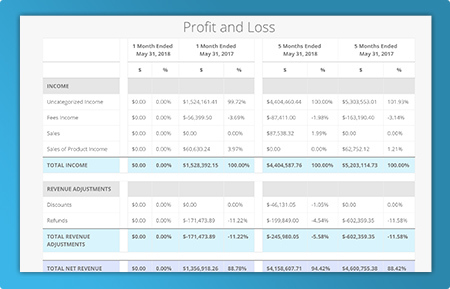 Get immediate insight on the overall performance on your Monthly Revenue, Cost of Sales vs. Total Income, Monthly Cash Balances, and more. 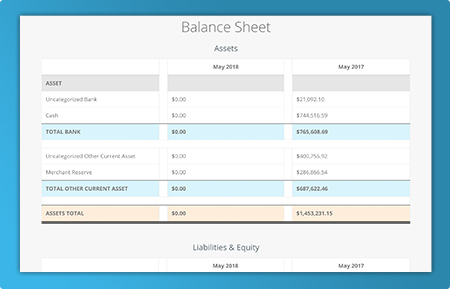 Readable balance reports for your clients so they know their assets, liabilities, and expenses to know their numbers. 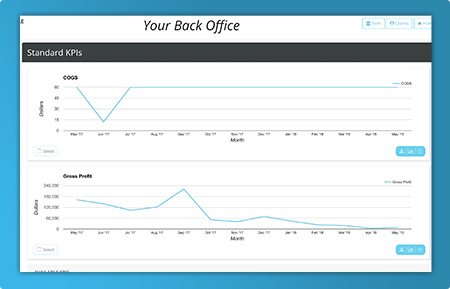 Easily track your success with our user friendly report that shows you exactly what you need to know to run your business profitably. 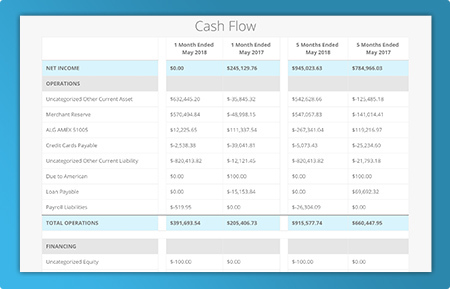 View and compare each month’s cash flow for operations, investing, financing, and for better business decision making. 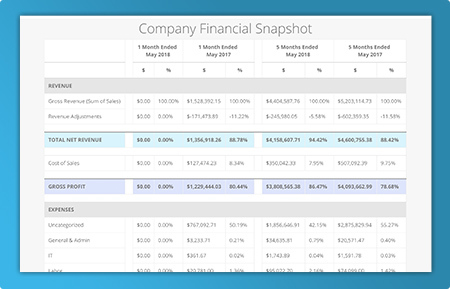 Create customized key performance indicators to get immediate insight on your Gross Profit, Labor/Marketing, New Income, Fulfillment Cost/Labor Cost per Employee, and much more. 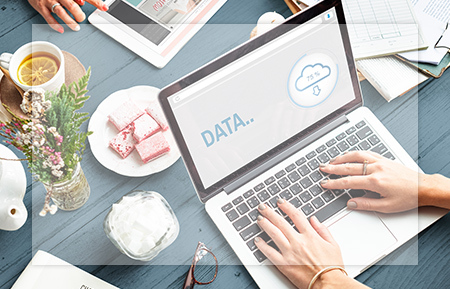 Integrate directly with QuickBooks and other accounting systems you currently use to automatically upload the information you need. 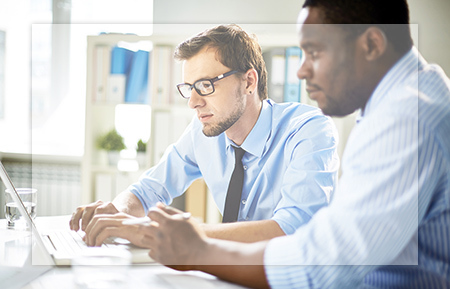 Communicate directly with your clients and provide proactive and forward-thinking advice for their business. This feature allows you to send daily balance reports, daily snapshots, weekly recaps, and monthly deliverables right from the system. Keep track of each employee’s performance; assign clients to your staff accountants, assign tasks and to-do’s, and much more, so you never miss another deadline or deliverable again!